Gracie Lawson-Borders is Dean of the School of Communications at Howard University. She was formerly Associate Dean and Professor in Communication and Journalism at the University of Wyoming; and previously served as Director of African American Studies at the university. Her research examines media coverage of minority groups and issues in the media, as well as media management, convergence, and new media. Her book Media Organizations and Convergence: Case Studies of Media Convergence Pioneers focuses on convergence of technologies in media organizations. 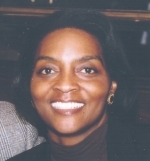 Lawson-Borders is a member of the advisory board of BlackPast.org, and the editorial board of the International Journal on Media Management. She has published in American Behavioral Scientist, International Journal on Media Management, and Journal of Media Economics. She received her Ph.D from Wayne State University, master’s and bachelor’s degrees from Northwestern University and Michigan State University, respectively. She is a former journalist who has worked as a reporter and editor at the Akron Beacon Journal, the Oakland Press, and the Chicago Tribune.